We are pleased to announce the launch of the Malaysian Global Health Consortium at the Association of Pacific Rim Universities (APRU) 12th Global Health Conference 2018 in University of Malaya on Tuesday, 30th October 2018 at 12.30 pm. 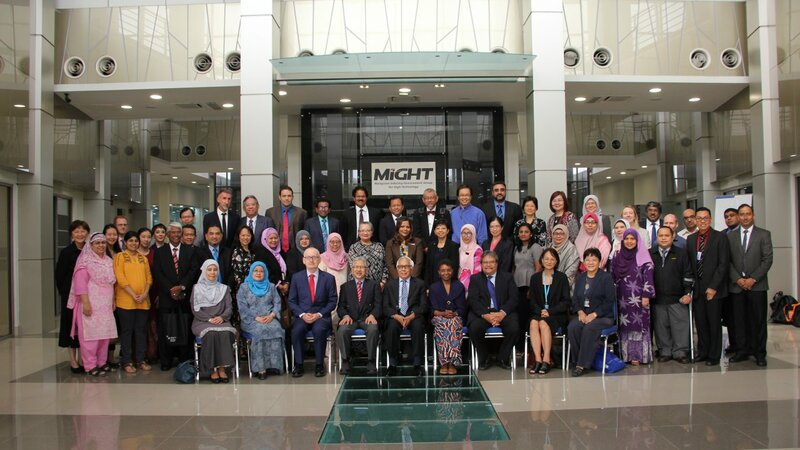 The Malaysian Global Health Consortium (MGHC) is a network that brings together policy makers and researchers from the government, non-government and higher education sectors to collaborate and contribute to improving global health challenges through training, development of knowledge products, research, service and advocacy. The MGHC is hosted by the United Nations University – International Institute for Global Health (UNU-IIGH). Through hosting the UNU-IIGH, Malaysia features prominently on the global stage to advance sustainable solutions to health challenges, and is uniquely positioned to engage actively in health solutions in the Association of Southeast Asian Nations (ASEAN) region. As a high middle-income country, Malaysia is also ideally placed to support other low and middle-income countries in South-South models of collaboration and capacity building. The Malaysian Global Health Consortium forum presents an opportunity for the health policy and health research community in Malaysia to engage actively in establishing and moving forward with an agenda for targeting global health challenges, especially those that are relevant to the region.